I may have found the perfect vehicle for someone just starting out in the auto market. When someone wants a first car that doesn’t flash “Hey, I’m Unique” like the Kia Soul, they need to visit their Kia dealer anyway. While there, they will find the baby in the Kia stable, the Rio. 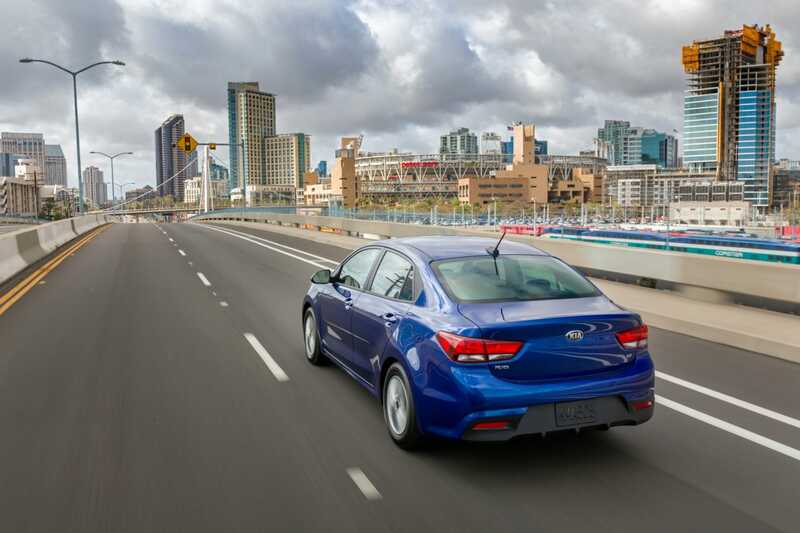 It is a no frills, but efficient and comfortable answer for those who want to get great fuel economy (28 city/37 Highway/32 overall) and keep their payments at a minimum as well since the MSRP is among the tiniest of any new vehicle today. 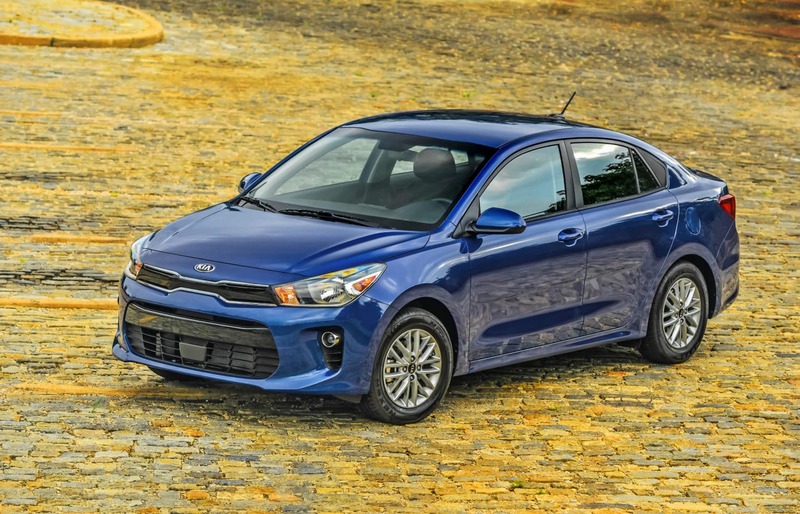 I spent a week with a base model 2018 Kia Rio LX and found it safe, stable, and actually, fun to drive. I’m thinking it could just be perfect for student as they go to college, or for any retiree who finds themselves on a limited budget. One might ask why I say “safe.” It’s quite simple. There is another automaker that has such a vehicle. It’s very economically priced. It has great gas mileage. BUT, I cannot consider it safe by any measurement. I actually told someone who said they were about to be getting a Mitsubishi Mirage for a week that they should drive their own car that week. I spent a few days with one, and found that everytime a medium sized to large truck passed me it almost blew me off the road. I’m sorry, but I just cannot accept that as something I would put any of my loved ones in. When I say economy, however, I do mean economy. Some readers may not even be familiar with window cranks. My test model Rio had them. They are quite simple to operate. I grew up with them. One simply turns them clockwise or counter-clockwise when they wish to lower or raise their window. Kia did not skimp when it comes to safety however. My Rio had anti-lock brakes, traction control, electronic stability control, hill-start assist, and vehicle stability management. At the same time, those in Texas and Arizona need not fret because Air Conditioning is standard. Both the young consumer mentioned above and the retiree need not worry about their favorite music or news programs either. Besides AM/FM and MP3 the Rio is equipped with SiriusXM Radio. Peace of mind comes standard as well. Kia’s famous 10 year/100,000 mile limited powertrain warranty and their five year/50,000 mile limited basic warranty is also standard. How about a five year/50,000 mile roadside assistance program? Yup, you get that as well. That initial base price? Would you believe an MSRP of only $15,290! And of course, have you ever seen a dealer ad saying a dealer will refuse to negotiate!